The above info came from Ryoko Hakubi, and was edited by yours truly (contact me). The image came from Anime Nation. It's the future and the earth has become highly polluted due to mans' great change. Then out of space giant pillars fall from space onto the earth, trapping all its resources in each one. The earth becomes one giant desert and water is now worth more then gold. A boy named Ran lived in one of the towns and lived with his grandfather after his mother had been shot when he was small. While trying to seek information from a dying Rodo solider, he's slapped in the face by the silver-haired girl, Aira. They run into each other again and join a rebel group called The Hazard. The Hazard are against the Rodoist cult and know they are about to try and change the world, but they all don't know the truth about the pillars. Aira finds out that she is some how connected to the giant pillars. Will they be able reveal the truth and destroy the evil pillars? Watch and find out! 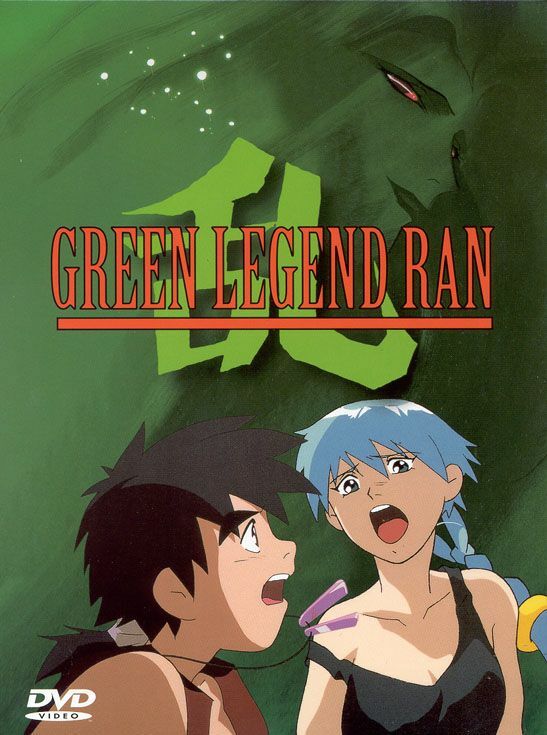 Note: The 3 OVA episodes were also combined together and released as a movie on DVD and VHS.